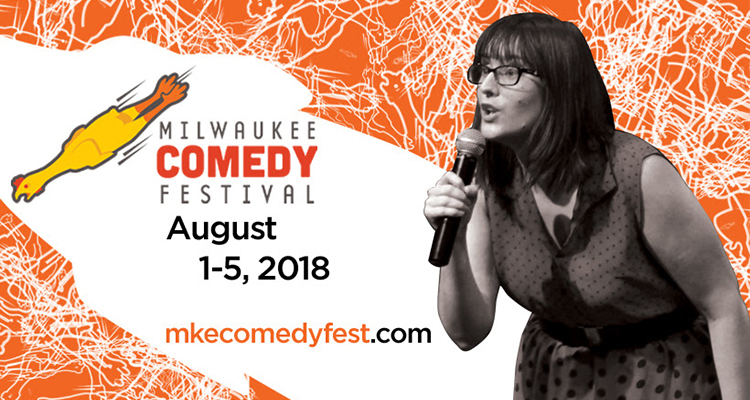 Originating long before the city had anything even resembling a sustainable comedy community, Milwaukee Comedy Festival has grown and evolved in kind with Milwaukee’s humor scene. From August 1-5, the Milwaukee-curated undertaking will offer an eclectic blend of stand-up, improv, and sketch comedy in its 13th year. The official festivities kick off with a Wednesday night showcase at Lakefront Brewery, before the official events move to The Underground Collaborative for the vast majority of performances, excluding an August 2 Lady Parts Justice League showcase at Cooperage and an August 3 Turner Hall performance from fest headliner Colin Quinn. Though the festival is based in Milwaukee and certainly serves to showcase a wealth of local talent, the lineup also boasts comedic talents from New York, Los Angeles, Chicago, Seattle, Madison, and elsewhere. Among those performing this year are The Daily Show co-creator Lizz Winstead, British-born comic Gina Yashere, and accomplished L.A. stand-up (and South Milwaukee native) Jackie Kashian.